Football Ferns defender Meikayla Moore and striker Aimee Phillips have secured their first professional contracts in Europe. Moore (21) has signed with FC Koln in the Bundesliga to play alongside Ferns striker Amber Hearn, while Phillips (26) will play for Spartak Subotica in Serbia. The two Canterbury United Pride players, who have been part of the Future Ferns Development Programme (FFDP) for the past 12 months, are excited to play professional football. 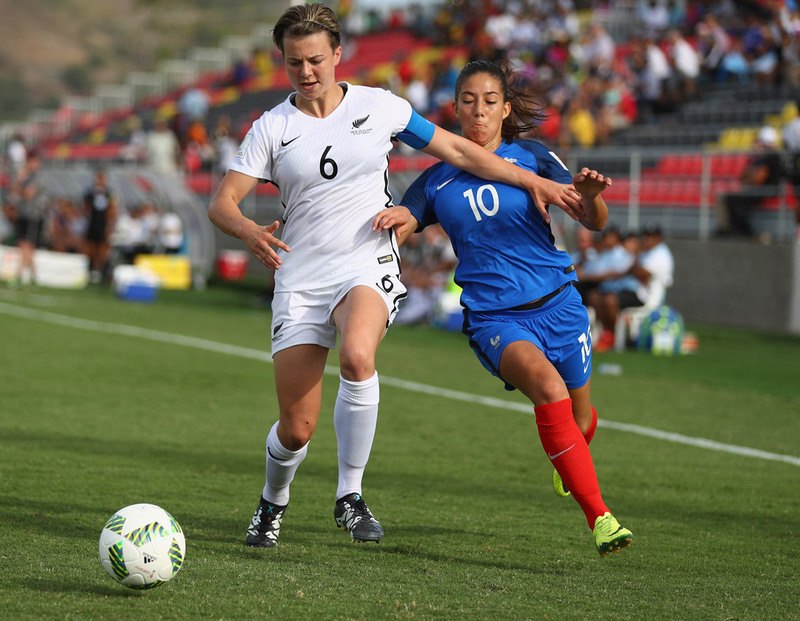 “I am really looking forward to the challenge of training and playing against some for the best players in Europe,” said Moore who has played 24 A internationals for the Ferns since making her debut in 2013. Phillips, who has played six A internationals since making her debut in 2015, is also looking forward to a new challenge. “I am most looking forward to playing in the Champions League and being tested in a different environment, with new coaches to enable me to become a better player,” said Phillips. Moore and Phillips join Katie Rood (Juventus), CJ Bott (USV Jena) and Jana Radosacljevic (BV Cloppenburg) as FFDP players to sign their first professional contracts. Gareth Turnbull, the FFDP Manager and Assistant Coach of the Football Ferns, said it was great news for two players he expects will be included in the Ferns’ FIFA World Cup qualifying campaign this year. “After working with both Meikayla and Aimee for the past five years, I’m really happy for them both to finally achieve their goal of signing professional contracts,” said Turnbull, the former Pride coach. Moore and Phillips said the FFDP has been a huge help in developing their ability. The creation of the programme has been a key part of the pathway for women’s football in New Zealand. Phillips said the FFDP has provided her with a full-time environment which will help her transition into pro football at Spartak Subotica. The Ferns pair are hoping this experience will help them develop further as they continue to press for starting places in the countdown to the 2019 FIFA World Cup in France. Moore and Phillips hope to be named in Andreas Heraf’s Football Ferns squad to play two international friendlies against Scotland in Spain in March.